Robin Romm gets the cover of NYTBR! 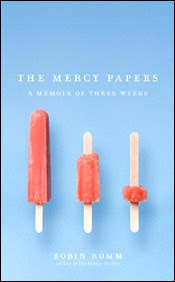 Congratulations to One Story author Robin Romm, whose new book, The Mercy Papers: A Memoir of Three Weeks, gets a glowing front page review in this Sunday’s New York Times Book Review. The book also received an “A” from Entertainment Weekly. Visit Robin’s website to find out when she’ll be appearing near you, and be sure to buy the book!